Plan a Wedding in a Month? That’s Crazy!!!! 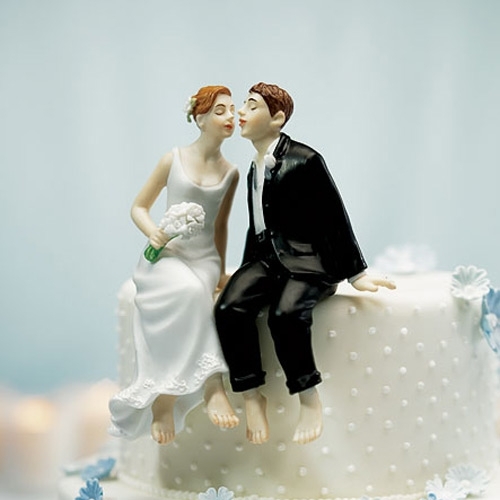 Posted on March 5, 2011 | Comments Off on Plan a Wedding in a Month? That’s Crazy!!!! A wedding is a time to celebrate your love. Traditionally weddings take six months to a year of planning in advance. If you need to speed up the process, you can plan a wedding in a month. Firstly, you need to get organized. Put together a team will to help you with the tasks. Many things need to be done so not be afraid to delegate. Create a budget and stick to it. Day 1-7: Check on the marriage license requirements. Decide on and secure the location. Mail out your locally purchased the invitations. Find an officiant. Day 8-14: Begin booking vendors (caterer, photographer, videographer, DJ, transportation, etc. Choose your bridal party. Select and/or rent attire. Decide on and book honeymoon. Schedule an appointment for hair and makeup. Day 15-21: Order your cake. Arrange your rehearsal dinner. Order your flowers. Call and confirm vendor participation as well as arrival time. Purchase wedding rings. Day 22-28: Purchase or create favors. Finalize seating plan. Put together all document necessary for traveling. Day 29-30: Confirm honeymoon. Get wedding attire organized. Rehearse and Dinner. THE BIG DAY: Just relax and be happy. Don’t sweat the small stuff. Even the most well-planned event has a few glitches. Remember it is about the lifetime together not just the day. This entry was posted in Budget & Finance, Wedding Advice & Tips, Wedding Cakes, Wedding Decor, Wedding Details, Wedding Fashion, Wedding Favors & Gifts, Wedding Flowers, Wedding Invitations & Stationary, Wedding Locations & Venues, Wedding Planning and tagged budget & finance, Layne Corban, marriage, Wedding Cakes, Wedding Day, Wedding Details, wedding dresses, Wedding Favors, Wedding Favors & Gifts, Wedding Invitations, Wedding Invitations & Stationary, Wedding Locations & Venues, Wedding Planning. Bookmark the permalink.